A historian fisks “The Outlaw King”. 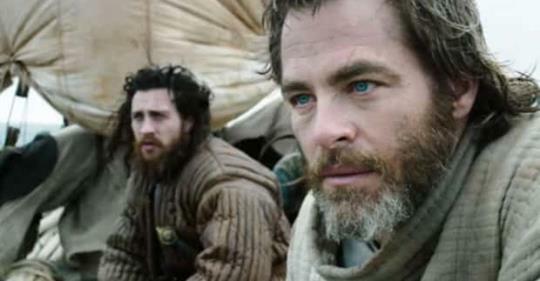 In this article, Fiona Watson discusses the main points and the errata in the series The Outlaw King, about Robert I’s accession and reign. It deals with issues such as Robert I’s lineage, Wallace’s execution, the killing of Comyn and his encounter with Edward II at Bannockburn, although the latter wasn’t active at Loudoun Hill in early 1307, as the programme states. At least, as she concludes, it is more accurate than Braveheart. Does Richard II lie in an obscure grave in Stirling….? “There was nothing at Westminster Abbey yesterday to alert visitors to the renewed speculation that one of its most revered sites may not be what it seems. To the unwary, King Richard II still lies in the south aisle of the Lady Chapel just where he has for nearly six centuries. A sign points out the tomb, wedged snugly between those of Edward III and of Anne Neville, Richard III’s queen. It is topped by a gilded effigy of the monarch, whose remains were moved to the Abbey from Hertfordshire in 1413. But all that glisters is not gold, and there are fresh claims that the remains of one of England’s most tragic kings may not rest at Westminster at all. In fact they may be 400 miles away, under a pedestrianised shopping centre near Stirling railway station. “Legend and Shakespeare say that the last of the Plantagenets was murdered by Sir Piers of Exton in Pontefract Castle in early 1400, only weeks after he was forced to resign in favour of Henry of Lancaster, who then crowned himself Henry IV. But that story has always been disputed. Almost immediately after the king’s death,there were rumours that the body which was so openly brought south was not thatof Richard but a lookalike, perhaps his chaplain Richard Maudelyn. From as early as 1402 there were claims that the real Richard had escaped to Scotland, where he supposedly died in 1419 (six years after being reburied at Westminster). Now the archaeologist Ron Page is leading an effort to get to the truth of what would be one of English history’s greatest cover-ups. It is a very intriguing thought that here we have another medieval King of England who may not be where he is supposed to be. I’m thinking of Edward II, and the dispute over whether he really did die when he was said to have, and whether he was laid to rest in Gloucester Abbey on the date he is supposed to have been. And I also think, of course, of Richard III, who really was where he was said to have been, and not lost in the River Soar as a legend claims. If it was a cover-up, it was a Lancastrian one! What a surprise. Well, there is one thing to be said of poor Richard II, a railway station is a refreshing change from car parks. Since Richard III, there has been a positive rash of burials found or suspected under car parks. But then, his predecessor, Richard II, always did like innovation and being different. PS: As the above article was written in 2002, and I haven’t heard anything more of a great discovery in Stirling, I can only imagine that Richard II does, after all, lie at rest with his beloved Queen Anne in Westminster Abbey. Unless, of course, someone else knows something the rest of us do not….? PPS: Um, when did they locate Anne Neville’s tomb so precisely? I thought the whereabouts of her last resting place were only vaguely known…? The actual location has been lost. Many of you will remember the episode of “Who do you think you are” in which Danny Dyer was revealed as a descendant of Edward III. In this new two part series, he “meets” a few prominent ancestors, some even more distant. The first episode began with Rollo, ancestor of the Dukes of Normandy, which saw Dyer visit Sweden, although Danes and Norwegians also claim that Viking dynast, to learn sparring with a sword and shield. Then he went to the Tower to talk about William I and Dover Castle for Henry II, discussing his rebellious sons and his mixed relationship with Becket. At every stage, riding a horse, jousting or dyeing (Dyeing? ), he was accompanied by a professional genealogist (Anthony Adolph, in a cafe opposite Buckingham Palace ) or a historian, if not one of television’s “usual suspects”. At the end, Dyer visited France to learn of a slightly different ancestor – St. Louis IX, although Margaret of Wessex is another canonised forebear. The second episode did feature some real historians: Elizabeth Norton, Chris Given-Wilson, Tobias Capwell and Tracy Borman. The opening scene had Isabella on the Leeds Castle drawbridge shouting at Edward II (Dyer): “Git aht ov moi carsel” (you may need Google Translate, but not from French). We were shown an image of Hugh le Despencer’s grisly execution, without pointing out that there were two of that name, followed by Edward’s confinement in Berkeley Castle, forced abdication and the legend of his even grislier end. Henry “Hotspur” Percy, who died in battle at Shrewsbury, followed as Dyer tried on late mediaeval armour. The next scenes concerned Sir John Seymour at Wolf Hall, inveigling his daughter into Henry VIII’s world, as Dyer dressed up and tried “Tudor” dancing. We then moved on to Helmingham Hall as Catherine Cromwell married Lord Tollemache, whose successor met Dyer, his cousin, again. The series concluded with a “sugar banquet” as the star’s family joined in, dressed as Elizabeth I’s contemporaries. Both programmes were informative about mediaeval life, such as the “silver pennies” bearing Dyer’s image and the West Ham badge, although his stereotypical East London patois grates a little. It brought to mind Ray Winstone as Henry VIII (“I have been betrayed!”) or Nick Knowles‘ egregious Historyonics. 7 things to know about the struggle between York and Lancaster…. This link provides some interesting reading about the origins of the Wars of the Roses, as most people describe the civil wars between the Houses of York and Lancaster. A lot of the points are from very early on in the proceedings, which makes them all the more interesting to me. latest history series has been shown through December on Monday evenings (BBC1 Scotland) and twenty-four hours later on BBC4. The first part, of three, showed how the power vacuum caused by the sudden deaths of Alexander III and his granddaughter was resolved through the clan system and John Balliol’s abdication so that alliances were formed behind the remaining claimants Robert Bruce and John “Red” Comyn, culminating in a brawl in the Dumfries Greyfriars, during which Comyn was fatally stabbed. Robert I’s reign, including his strategic triumph as he unexpectedly arranged a pitched battle at Bannockburn is also explored. The second part explores how, after the reign of David II, Robert I’s son, Clan Stewart evolved from a branch of the (Norman) Fitzalans, who are now Dukes of Norfolk through their Howard marriage, to supply every Scottish monarch from 1371 and every English monarch from 1603, now through the Bohemian marriage of James VI and I’s daughter. The reigns of the first three Stewarts were narrated, the weaknesses of Robert II and Robert III, the absence and the authoritarian – Lancastrian? – royal style of James I together with the conflict between Robert III‘s sons were used to show how James’ assassination and the ensuing executions, organised by his widow Joan “Beaufort”, resolved this before the end of 1437. Gradually, from James I’s time, the Stewarts succeeded in gaining power from the MacDonalds, who held the Lordship of the Isles. Finally, we focus on Mary, simultaneously the last Stewart and the first Stuart, through her marriage to Henry, Lord Darnley (of the Lennox Stuarts), and his mysterious death at Kirk o’Fields, up to her dethronement and exile. The clan chieftains played a significant part in her initial downfall, as they plotted to reverse Knox’s organic Reformation that had taken place during her absence. At this time, her half-brother the Earl of Moray allied himself to the Earl of Morton, the leading Douglas. Then, after marrying the (Hepburn) Earl of Bothwell, Mary fled south – and her life ended at Fotheringhay where Richard III’s had begun. As usual, this evocative series features realistic dramatisations in which Oliver appears almost as a witness in some scenes. The detail exceeds that of his A History of Scotland and, as usual, nobody featured in the episodes is beyond reproach. Little known, Edward was, briefly, the High King of Ireland, but ended up dying in battle and having his remains quartered and sent across the country to various Irish towns. His head was shipped to King Edward II in England, destined for London Bridge. Later, what remained of Brus was gathered and hastily buried in the churchyard on the Hill of Laughart in a simple grave. Edward Brus was one of several younger brothers of Robert; his exact date of birth is unknown, as is his birth position in the family. There were three other brothers too, Niall , Thomas and Alexander, but all of them were captured by English and executed, so Edward, as the surviving younger brother, was temporarily heir presumptive to the Scottish throne. However, when Robert’s wife, Elizabeth de Burgh, was freed from captivity and rejoined her husband, it was speculated that soon the Brus would have an heir. Edward Brus began to look for different ways to gain a crown for himself. He turned his gaze to Ireland, where he may have been fostered by the O’ Neill clan as a boy, and with Robert funding and assisting his campaign, mounted an invasion, with the ultimate goal being to drive out the Anglo-Irish lords…and claim sovereignty himself His first battle on Irish soil was against Sir Thomas de Mandeville; Edward was victorious in his effort and stormed on to take Carrickfergus. Once it was in his hands, many of the local chieftains gathered in council and agreed that the Brus should become High King of Ireland. However, they were fickle in their loyalties and swiftly broke their oaths to Edward, with several of the chieftains who had bent knee at Carrickfergus trying to attack by stealth as he rode with his forces through the Moiry Pass. Again, he managed to defeat his foes and marched onwards, burning and pillaging in his wake, until he reached Dundalk. There he besieged the town and brought it to its knees, slaughtering both the Anglo-Irish and the native Irish residents in the bitter aftermath. Opposition forces were quickly mustered, with the leaders being the de Burghs (who were relatives of Robert the Brus via marriage) but Edward refused to give battle and eventually the de Burghs, and their ally Butler of Ormonde had to retreat from their positions through lack of supplies. Once they had retreated, Edward Brus pushed forward again, this time defeating the soldiers of Thomas de Burgh and capturing Thomas’ cousin, William Liath de Burgh. Edward II hurriedly called a parliament in Dublin to discuss the crisis, but no further move was taken by the king to stop Brus at that time. By November of the same year, Brus was marching doggedly toward Kells. Sir Roger Mortimer arrived to confront him, bearing a missive from the pope bidding the Irish chieftains and the clergy to reject Edward Brus’ claim to kingship and to cede to the rule of Edward II. The Battle of Kells was fought was fought in which Mortimer was defeated; after fleeing to Dublin, he returned to England seeking aid from the king. The triumphant Brus went on a spree of looting and sacking local towns, and even raided a Cistercian monastery. The end came for Edward Brus when a knight called Sir John de Bermingham joined forces against him with Edmund Butler. 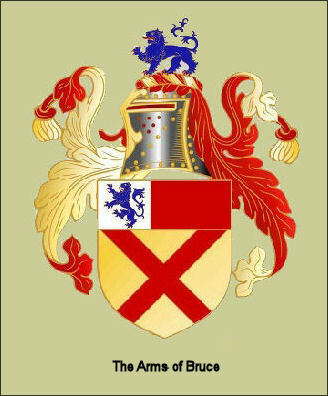 Vengeance was foremost on Bermingham’s mind; Brus had hung his uncle from the walls of Ardee Castle. 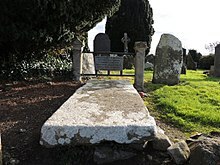 A vicious battle was fought at Faughart, and this time, Edward Brus’ luck ran out–he was defeated and killed, reputedly by an English soldier called John Maupas, and his body mutilated for display in Ireland and England. There are many, many false ideas and funny beliefs about the Middle Ages and some of the notable figures who lived in those times. 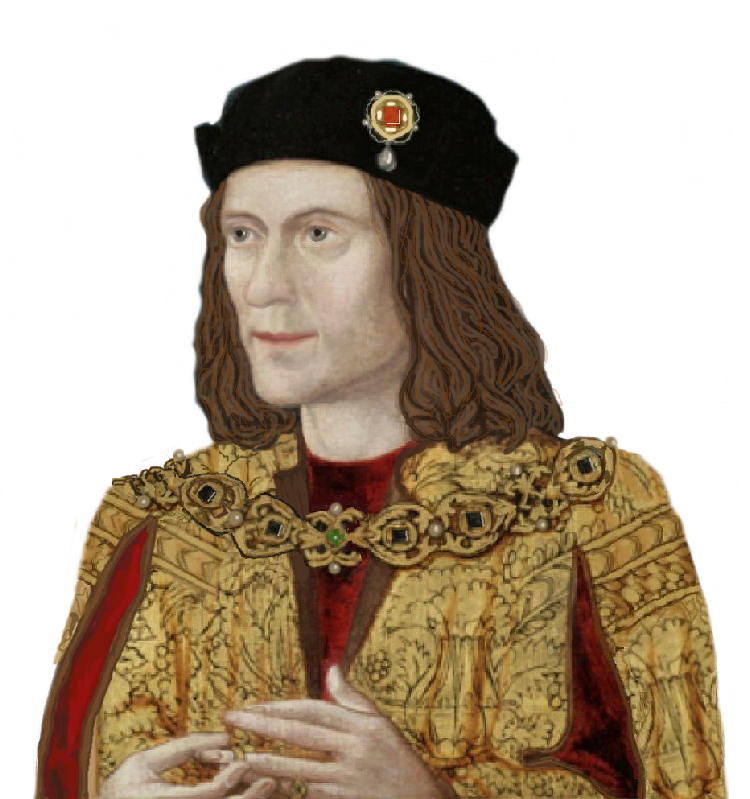 Alfred and the cakes, Edward II and the hot poker, Eleanor of Aquitaine flinging poisoned toads on Fair Rosamund… And of course, almost everything you can think of about Richard III. In popular ‘myths’ of the middle ages, still clinging on with remarkable tenacity, everyone was hobbit-sized, had bad teeth, burned witches and bathed once a year under duress. Some of these ideas have come from folklore or from popular fiction, like certain famous plays we know (COUGH); others have been handed down by the good old Victorians who wrote history THEIR way, just as they ‘improved’ on real medieval churches by rebuilding them in a NEW, ‘improved’ cod-medieval style, often obliterating real ancient artifacts and chucking out effigies and tomb slabs in the process. Recently I was rather pleased to find this interesting little ‘myth buster’ article–link below. I was particularly happy to see not only a positive re-assessment of Richard but a mention of his scoliosis which showed an understanding of the condition. It is really not that rare, that obvious, or that debilitating, unlike the way certain parties STILL like to portray it. The royal palace at Kennington…. The royal palace of Kennington is all but forgotten now, but for those interested in the mediaeval period it is perhaps most noteworthy for its association with Edward III, the Black Prince and Richard II. The buildings they knew vanished in 1531, at the hands of that arch-demolisher, Henry VIII, and illustrations of the original palace are so rare that I have only been able to find one. See above. At least, I imagine it’s the original palace. The picture is taken from here.